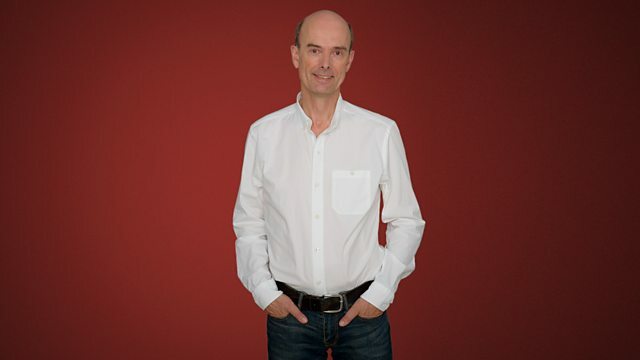 Martin Handley presents Radio 3's classical breakfast show featuring listener requests. Also, as part of New Year, New Music, Radio 3 presenters introduce some of the latest pieces of music they love. Orchestra: Orchestre de la Suisse Romande. Conductor: Ernest Ansermet. Ernest Ansermet L'Orchestre de la Suisse Romande. Performer: Steven Isserlis. Performer: Pascal Devoyon. J.S. Bach Toccata and Fugue in D minor. Orchestra: Orchestre de l’Opéra National de Paris. Conductor: Philippe Jordan. Schubert: 8 Symphonies: Chamber Orchestra of Europe/Abbado. Performer: Charles Curtis. Orchestra: BBC Scottish Symphony Orchestra. Conductor: Ilan Volkov. Bizet: Symphony in C etc. : Concertgebouw Orchestra/Haitink. Orchestra: Concerto Köln. Director: Werner Ehrhardt.